Participation in a fraternity or sorority provides you an experience like no other on a college campus. For more information about Fraternity and Sorority Life at UNLV visit our website. The Interfraternity Council (IFC) is the governing council for 12 men's fraternities at the University of Nevada, Las Vegas. These chapters share the common interests of brotherhood, leadership, academics, and philanthropy/service. 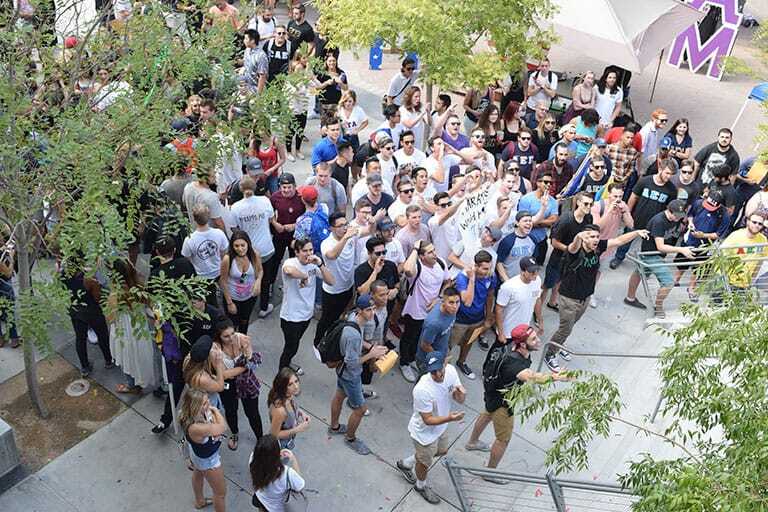 The Multicultural Greek Council (MGC) is the governing council for multicultural fraternities and sororities at the University of Nevada, Las Vegas. MGC consists of five fraternities and six sororities, and currently encompasses the following cultures: Asian American, Asian/Pacific Islander, Arab, Latino/a, and Multicultural. The National Pan-Hellenic Council (NPHC) is the governing organization for nine historically African-American international Greek-lettered fraternities and sororities. The nine NPHC organizations are often referred to as the "Divine Nine". The Panhellenic Council (PHC) is the governing body for the seven (inter)national women's sororities at the University of Nevada, Las Vegas. Each organization is a member of the larger umbrella organization, the National Panhellenic Conference (NPC).